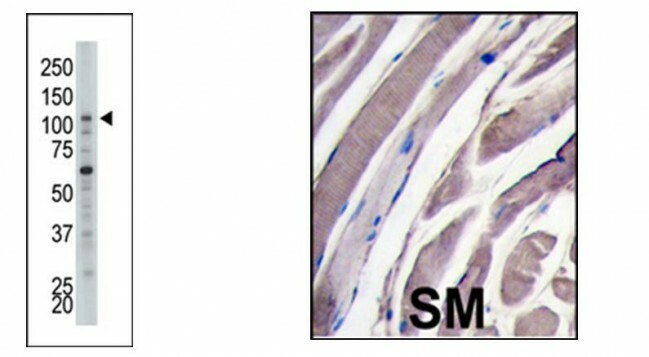 HK2 (Hexokinase II) (NT) Antibody | 3144 | BioVision, Inc.
100 µg (0.25 mg/ml) purified rabbit Ig polyclonal antibody supplied in PBS with 0.09% (W/V) sodium azide. The antibody can be used for ELISA (0.25 µg/ml), Western blotting (0.5 – 2.5 µg/ml) and Immunohistochemistry (2.5 – 5.0 µg/ml). In vertebrates there are four major glucose-phosphorylating isoenzymes, designated hexokinase I, II, III, and IV. Hexokinase is an allosteric enzyme inhibited by its product GLC-6-P. Hexokinase activity is involved in the first step in several metabolic pathways. HK3 is bound to the outer mitochondrial membrane. Its hydrophobic N-terminal sequence may be involved in membrane bindng. 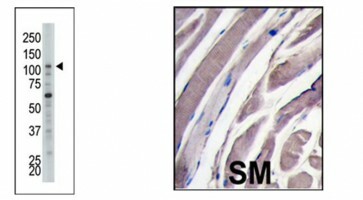 It is the predominant hexokinase isozyme expressed in insuline-responsive tissues such as skeletal muscle. The N- and C-terminal halves of this hexokinase show extensive sequence similarity to each other. The catalytic activity is associated with the C-terminus while regulatory function is associated wiht the N-terminus. Althoμgh found in NIDDM patients, genetic variations of HK2 do not contribute to the disease.